Orion rises over Mayan pyramid on Dec 21......Solstice, no apocalypse! 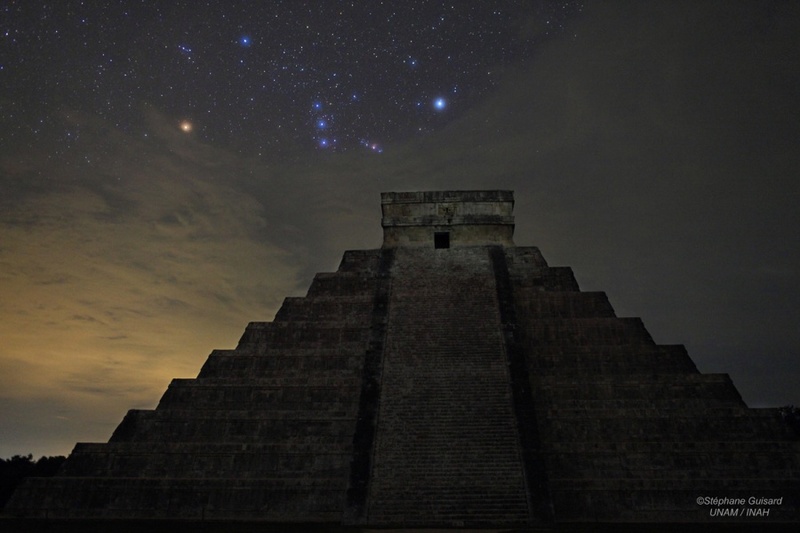 Thread: Orion rises over Mayan pyramid on Dec 21......Solstice, no apocalypse! The pyramid, like those of Egypt, is beautifully aligned with astronomical events and can be used as a calendar, so you could make a connection to the mayan Long Calendar. But, there's no need for nonsense about The End of The World as Phil Plait has pointed out. Nice pic! I think I'm going to use that for my desktop. Beautiful picture! How lucky the photographer was to have an opening in the clouds like that! I feel like I want to camp out there. It's stunning.